The emoji is a fascinating art form. A cross between twenty-first century hieroglyphics and 90s Lisa Frank stickers, the emoji is the modern visual language that combines aesthetics with communication. A well-selected face emoji can convey our particular feelings toward a subject better than any word can, and a string of emojis can be used to easily summarize the plot of an entire movie. They've become a staple of electronic communication, and now it seems they're seeping over into the fashion world. Thanks in part to the trendiness of kitsch couture (as heralded in by Jeremy Scott) emojis have become motifs on T-shirts, jackets, and even jewelry. It's the natural successor to the text T-shirts and sweatshirts that have been trending, only better, because everyone knows an emoji is worth a thousand words. 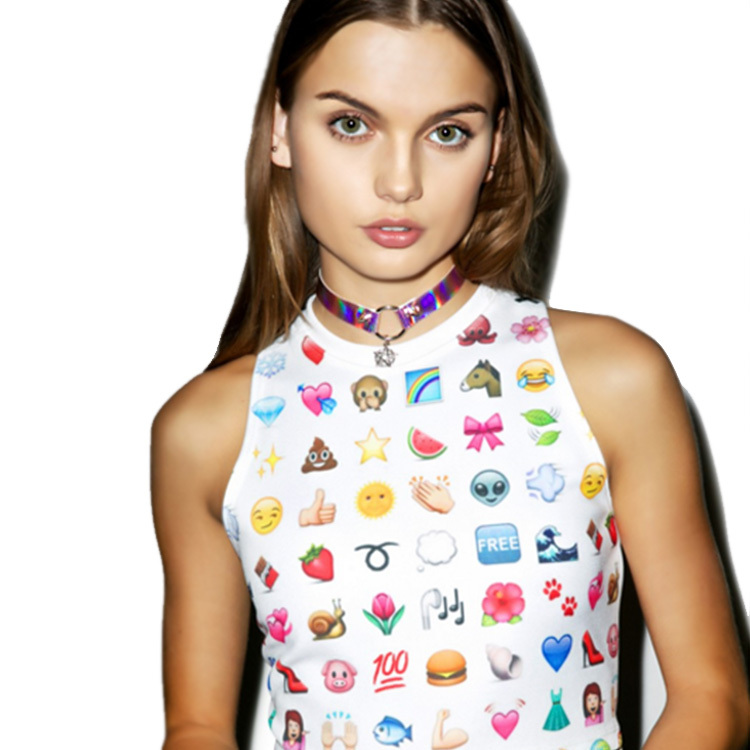 Would you wear an emoji print shirt? Let me know in the comments! OMG those are darling! I love emojis! Me too, Annessa! They're just so fun and cute!